On a recent trip to New York City, the artist and his wife enjoyed attending the theater - a real treat in New York where you see the best of the best. 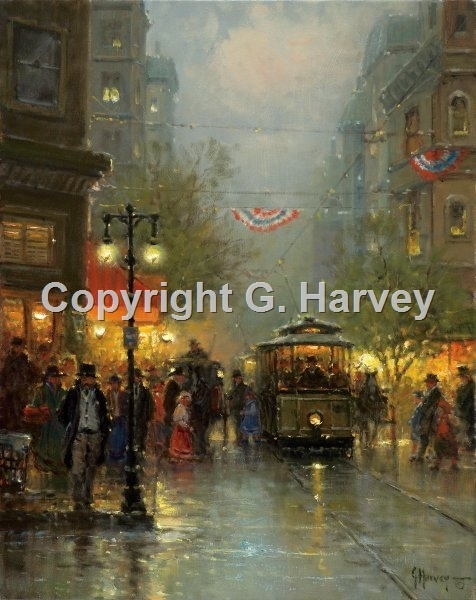 Afterward, they realized that he had never painted the theater district at the turn of the century - an exciting, colorful scene with all the patrons dressed for a lovely evening out. And so, "The Theater Crowd" came to be.